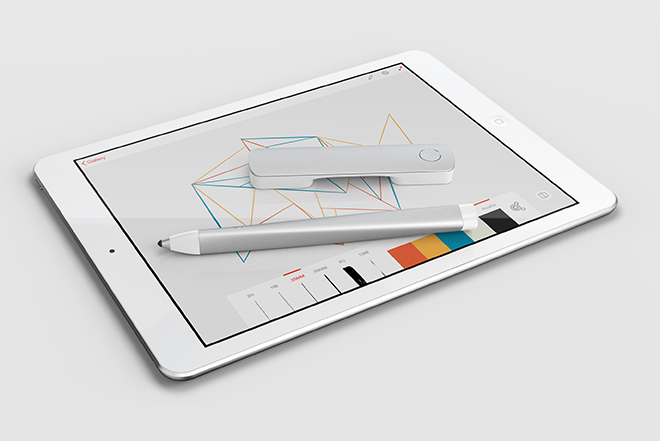 Adobe revealed its latest update to Creative Cloud with 14 new versions of CC desktop applications, four new mobile apps and the official launch of the company's stylus and ruler set for iPad. "We’ve been hard at work the last two years to address four key areas of the Creative Cloud you told us to focus on: performance boosts, workflow efficiencies, support for new hardware and standards, and of course innovative features, which we call the Adobe “magic.” If you’ve been hanging on to your old CS disks, waiting for the right time to join the Creative Cloud community, that moment is here. The latest version—available today (B&H 1-Year Subscription)—is packed with new, truly inventive features that will make it easier to do your work from anywhere, help you do it faster, and let you bring all of those great creative ideas in your imagination, to life." Photoshop CC now has Blur Gallery motion effects for creating a sense of motion, and the recently introduced Perspective Warp for fluidly adjusting the perspective of a specific part of an image without affecting the surrounding area. Focus Mask makes portrait shots with shallow depth of field stand out, and new Content-Aware capabilities make one of the most popular features even better. We’ve also added more camera support to Lightroom (version 5.5) as well as a new Lightroom mobile app for iPhone. The Adobe Illustrator blog click here has the rundown on what’s new in Illustrator CC, such as Live Shapes to quickly and non-destructively transform rectangles into complex forms and then return to the original rectangle with just a few clicks. Originally previewed at the NAB show in April, new features in our video apps include Live Text Templates, Masking and Tracking plus new integrations that leverage the power of Adobe After Effects CC inside Adobe Premiere Pro CC. It’s better, faster, stronger. Read more on our Pro Video blog click here. Dreamweaver CC lets you see your work come to life. You can now view your markup in an interactive tree using the new Element Quick View, to quickly navigate, and modify the HTML structure of pages. The Dreamweaver CC blog click here has all the details.